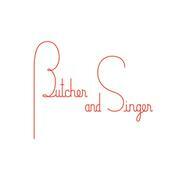 Butcher and Singer is looking for warm, friendly, hospitable, experienced, and professional hosts to join our elite restaurant team. Candidates should be comfortable navigating Open Table reservation system. The front door team are the first and last impression for every guest. This team is very important for creating a warm and welcoming environment from the moment the guest arrives. a suit and tie and post-Prohibition liquor flowed freely. chops, coldwater lobster and iconic dishes like Shrimp & Crab Louie.